Kronomyth 2.1: Knights in white satin. It’s fair to say that Days of Future Passed was an album ahead of its time. The Beatles had certainly raised the standards for pop music with songs like “Eleanor Rigby,” so that a full classical hybrid wasn’t an illogical next step—before the decade was over, even Deep Purple was playing with an orchestra—but it’s fair to say that a lot of listeners didn’t know what to make of Days or the new Moodies when it was first released. Today, few would argue that “Nights In White Satin” is anything less than sublime. As a child, I always thought it was knights with a k, because the song seemed steeped in knightly nobility. 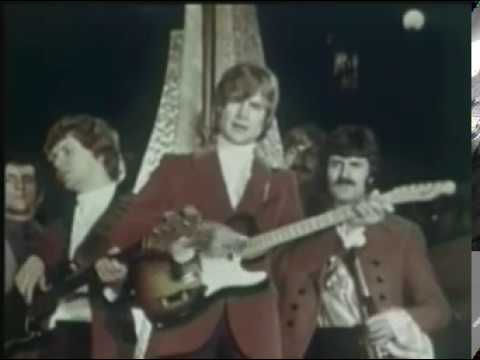 Originally, “Nights In White Satin” was credited to Redwave (a collective name for the Moodies) and Peter Knight, but corrected to Justin Hayward on subsequent releases. The original runtime was also incorrectly listed as 3:06, although to my knowledge no edited version of the song has ever existed. * Original pressings incorrectly listed the songwriter as “Redwave” and the track time at 3:06. Released on 7-inch single on November 10, 1967 in the UK and Italy (Deram, DM 161), on December 4, 1967 in Germany (Deram, DM.161) and the Netherlands (Deram, DM 161), in 1967 in Belgium (Deram, DM. 22), Ireland (Deram, DM (I) 161), and Spain (Deram, ME 418), in January 1968 in the US (Deram, 45-DEM-85023), in February 1968 in Japan (Deram, D-1026), in April 1968 in New Zealand (Deram, DM.161) and in 1968 in Canada (Deram, DM.85023) and France (Deram, 17.007); reached #19 on the UK charts and #103 on the US charts. Spanish 7-inch single featured different B side, “Peak Hour.” Some regional versions feature picture sleeve. Re-issued on 7-inch single in July 1972 in the US (Deram, 45-85023), on November 16, 1972 in Australia (Deram/Threshold, DMA-10029) and in 1972 in Argentina (Deram, 1559), Belgium (Deram, 125-79.621Y), Brazil (Deram, 7DM-1002), France (Deram, 84.047 B), Japan (Deram, D-1110), the Netherlands (Deram, 6101 013) and Portugal (Deram, SDM 105); reached #2 on the US charts (charted on August 5, 1972 for 18 weeks). Some regional versions feature picture sleeve. Re-issued on 7-inch single in 1974 in the US (Deram, 5N 85023) and the Netherlands (Deram, 6101 024). Some regional versions feature picture sleeve. Re-issued on 7-inch single in 1977 in Germany (Deram Oldies But Goodies, 6.11 262) with picture sleeve. Re-issued in the 1970s in Canada (Deram, TOP 013). Re-released with “Go Now” as back-to-back hits 7-inch single in 1980 in Germany (Deram, 6.12 666) with picture sleeve. Re-released with “Question” as B2B hits 7-inch single in 1980 in New Zealand (Deram, GOLD 37). Re-issued on 7-inch single in October 1983 in the UK (Old Gold, OG 9349) with picture sleeve. German 1980 version re-issued on 7-inch single in 1987 in Germany (Deram, 6.14916) with picture sleeve.